Calculating the value of any currency and comparing it with the value of other currencies was once a complex and arduous task. In the pre-internet era, when banks and other financial institutions were privy to real-time rate data unavailable to all market participants, and possessed unique data processing capabilities, they controlled the "trade" and enjoyed exaggerated margins in servicing requests for foreign currency trading. With the explosion in computing power, analytics and internet communication, forex trading was transformed into a world of radically more empowered and expanded independent participants. All you need to track currencies fits into the palm of your hand. Today, monitoring currency fluctuations requires little more than a smartphone and internet connection, allowing for nearly 2 billion potential participants, independently and whenever they want. Forex currency converters are now an integral part of every trader strategy. 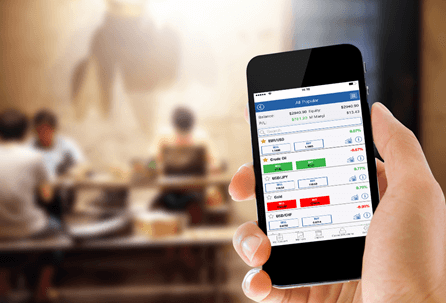 In the widest sense, the forex currency converter is a handy online software that allows anyone anywhere to understand in real-time the most significant currency prices and ratios. The leap from here to a successful trading strategy can be defined and mastered..
Currency converters vary with respect to features and input parameters, but all are oriented towards trading online. They do share, however, the primary purpose of displaying the value of multiple currencies and comparing their values to each other. Currency converters are generally user friendly, even if you do not have any previous knowledge or experience with day trading forex. Usually forex currency converters display their data in at least two separate columns or sections: base currency in the first column and the currency to which you want to convert in the second column. The only action required of the user is to pick the amount from the drop-down menu and launch the program. Even more simple is to enter on the Google search line the basics of the conversion you want to perform and allow its artificial intelligence agent to complete and answer your query. Forex currency conversion in real time is crucial in currency trading. Successful traders must have accurate timely information to survive and prosper in an extremely volatile and turbulent market. Trading decisions are based on a host of variables, key among them is the current instrument price. Thanks to the confluence of events that has facilitated our present hyper-data environment, currency converters are an almost afterthought in the Forex trader arsenal. As part of the enabling toolset available to all, , dealing with Forex is almost unthinkable without the help of these programs. Finally, using online converters is not a matter of your choice or preference. It is a necessity of this job and its most valuable tool. Of course, you can always rely on banks, but then you just can't expect that you will be ahead of the competition.